What do you understand by the term HSQLDB? 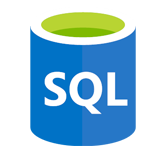 A relational Database Manager with JDBC 4 specifications and which conforms closely to SQL 2011 is known as HyperSQL Database (HSQLDB). HSQLDB is considered as an open-source, multi-model, next generation NoSQL product. All the features of RDBMS are supported by HSQLDB. HSQLDB facilitates in development, testing and deployment of data applications. HSQLDB is a relational database management system that is written in Java. It runs on Java runtimes from version 1.1 to upwards, including the free Java implementation like Kaffe. The tutorial covers the concepts of HSQLDB in detail. What are the prerequisites required and who are the audience for learning the concept of HSQLDB? Good knowledge and understanding of the concept of database, especially RDBMS is required to understand the concept of HSQLDB. This tutorial is mainly targeted for the professionals who want to learn HSQL database. Anyone on completion of this tutorial gets complete knowledge and understanding about the HSQLDB concepts.